I was fortunate to be on-site during the opening of the Space Shuttle Atlantis Exhibit at Kennedy Space Center in Florida. 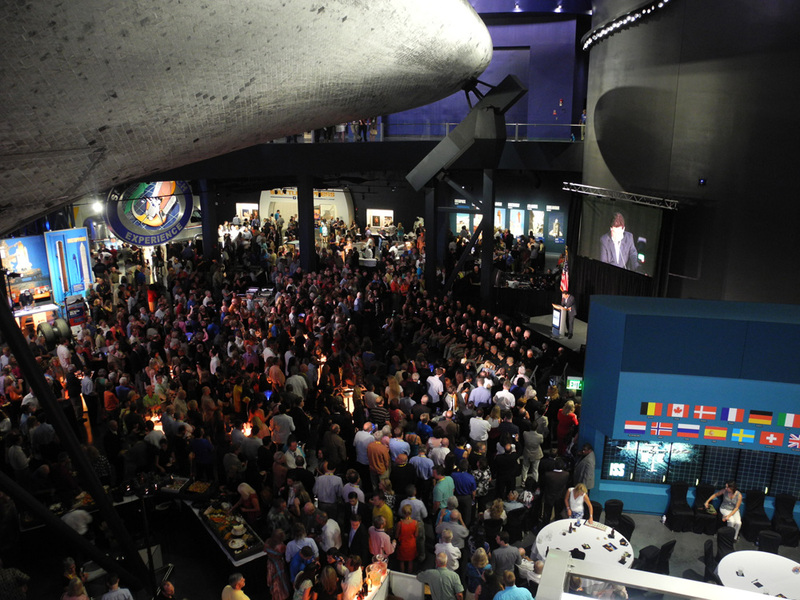 40 former astronauts who represented crew members from all of Atlantis’ missions were also in attendance in addition to about 1000 guests. 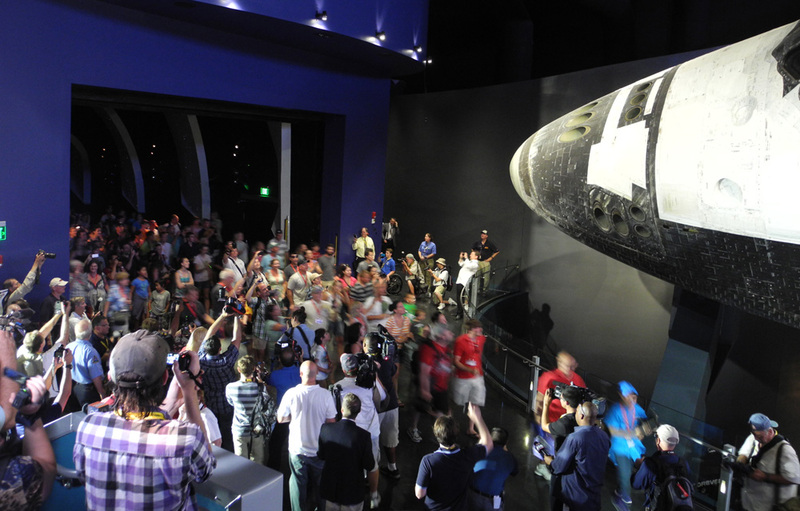 Guests are gathered around the stage and the astronauts under the shuttle during the festivities. 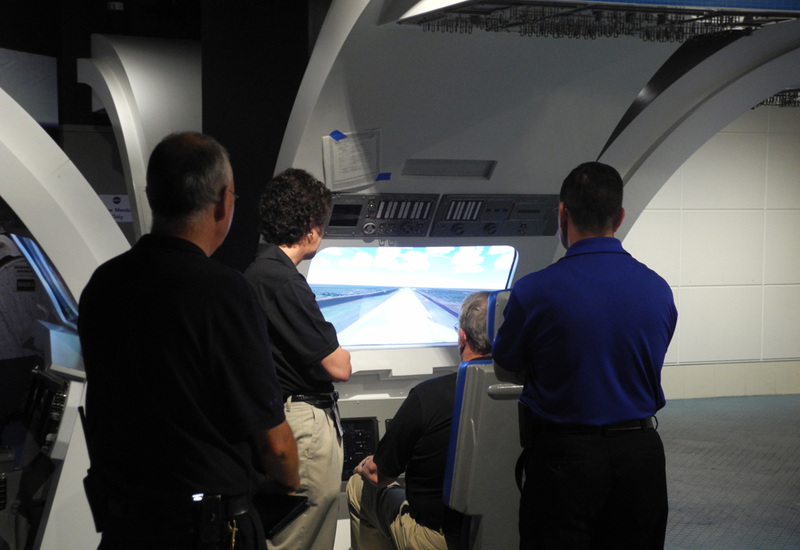 The picture below is a view of the upper floor of the museum, it shows the proximity of the viewing platform to the shuttle with its open payload bay doors on the right, in the center along the rail is the six-screen multitouch timeline interactive we also built at Unified Field (every shuttle mission can be looked up), and on the left are the blue shells that house the EVA Spacewalk Simulator I worked on. 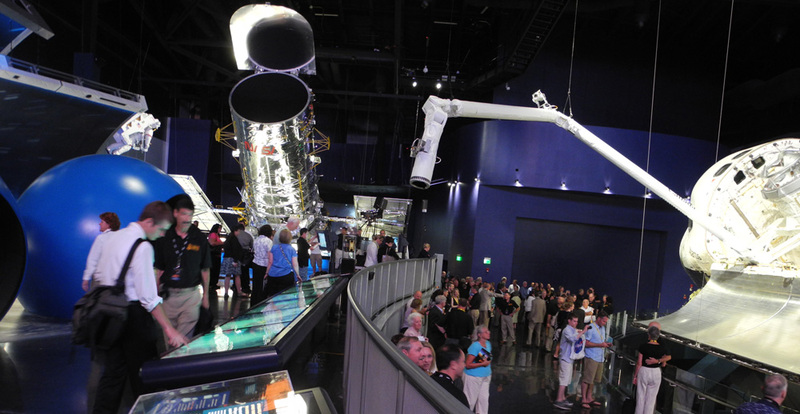 In the background is a full-scale model of the Hubble Space Telescope. Upper floor of the museum. A closer view of the EVA shells. Astronaut Jon McBride, right, who landed the Atlantis on a mission in the '80s watches another guest use the EVA. 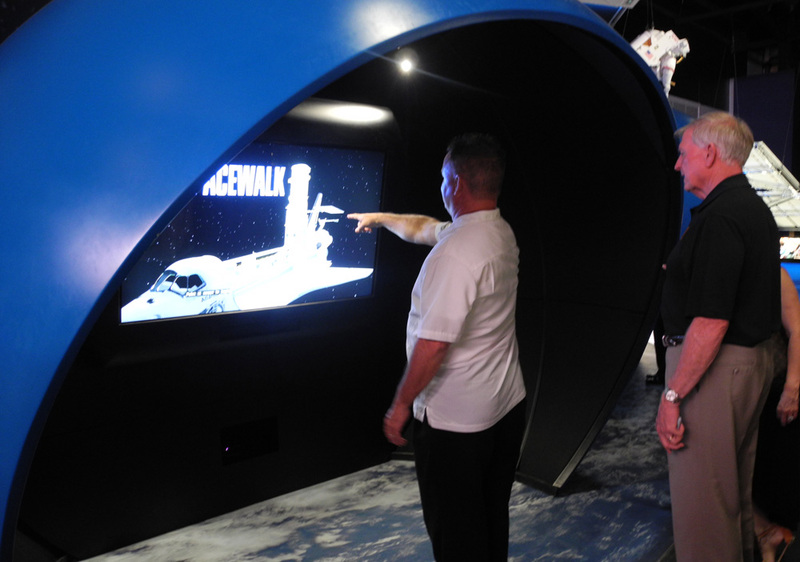 The best part of attending the opening for me was meeting a bunch of the astronauts and being able to watch them actually use the simulators I developed. Here they are using the Landing Sim. 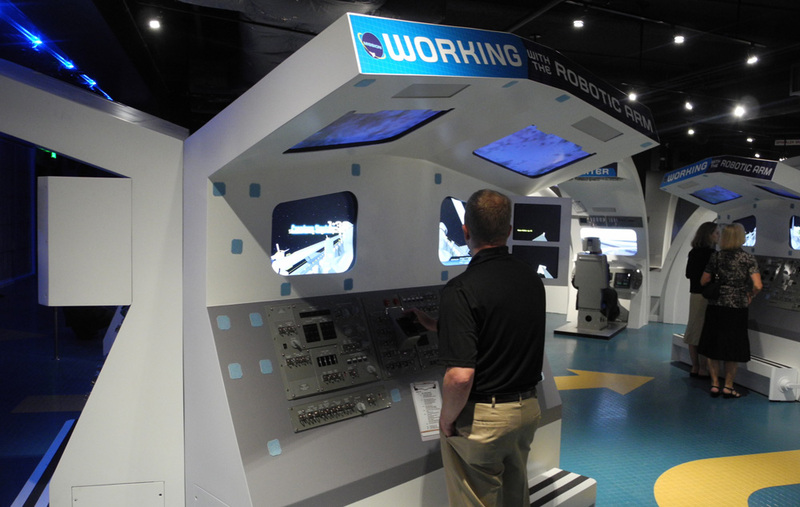 Astronaut Eric Boe, who was a Robotic Arm operator on the shuttle, tests out the Robotic Arm Sim. 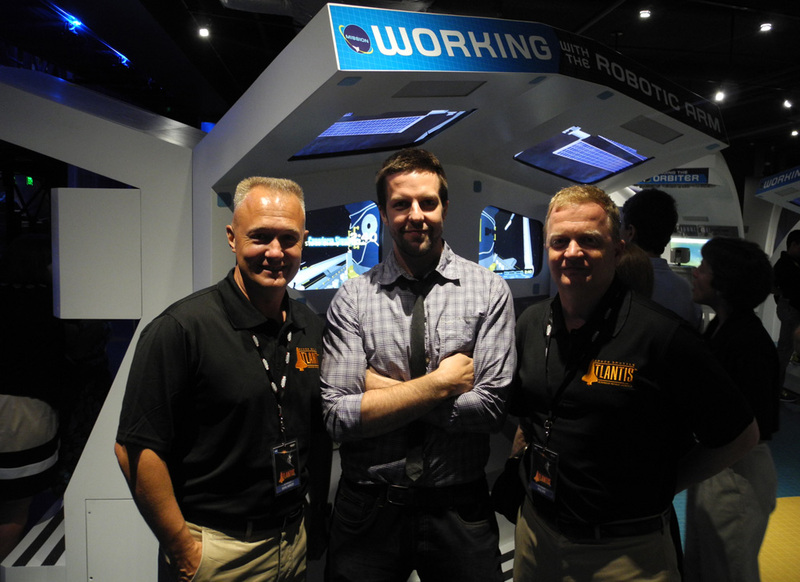 Astronaut Doug Hurley (left), myself, and Eric Boe after checking out some of the simulators I developed for the museum. Doug Hurley was on the final Space Shuttle mission aboard Atlantis. The first official group of visitors enter the museum on the opening morning. 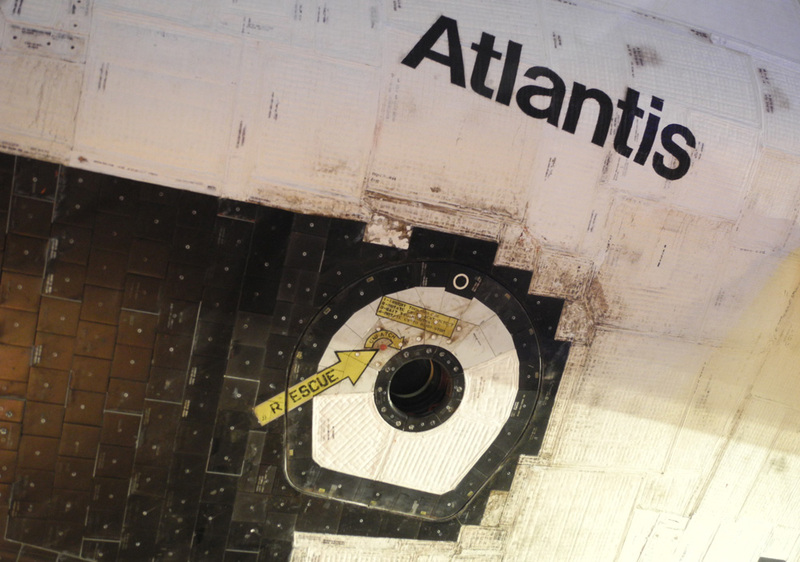 Wear and tear from atmospheric reentry on Atlantis' hatch. July 22 marked my first day at frog design in the San Francisco studio.